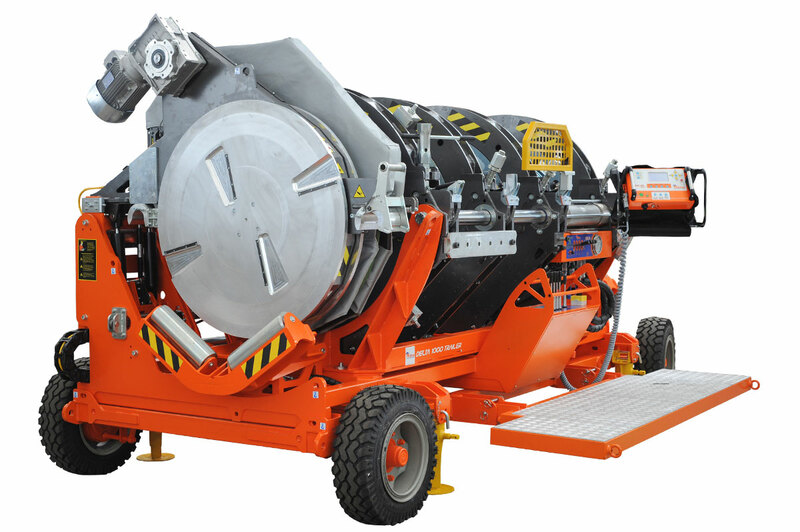 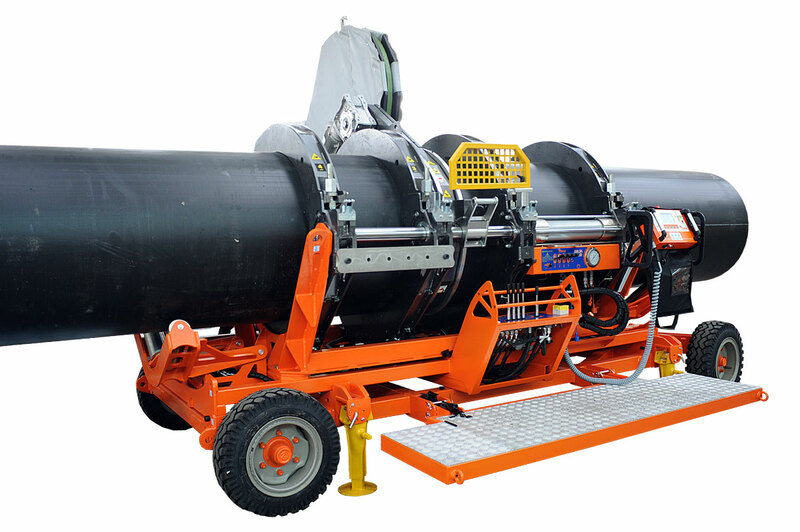 DELTA 1000 TRAILER is a self-aligning fusion machine, suitable for welding thermoplastic pipes for the transport of water, gas and other fluids under pressure, up to Ø 1000 mm ( 36" IPS/DIPS). 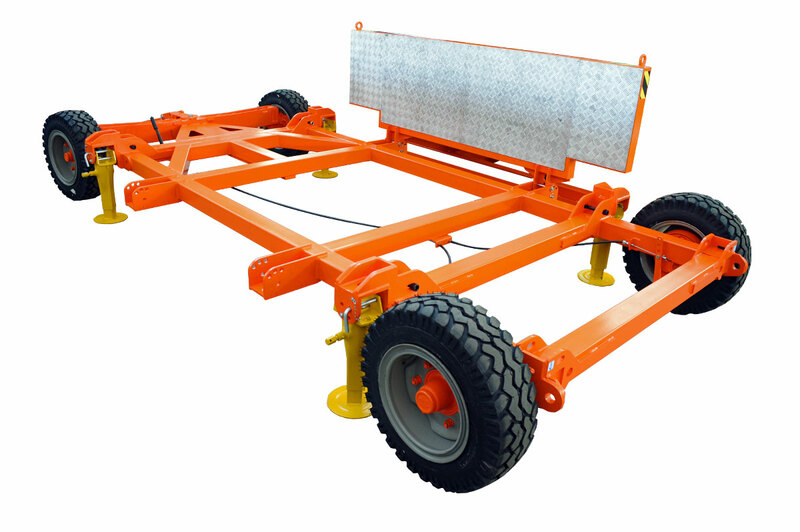 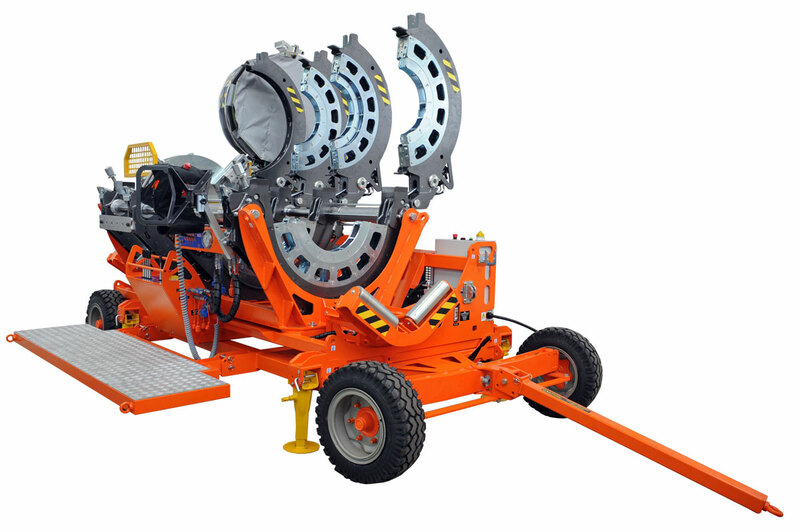 - Machine body mounted on a 4 wheeled chassis, easily removable for working in tight spaces; steel hydraulic clamping with the fast-locking inserts, which allows to place and remove inserts in seconds; self detaching device: helps removing the heating plate during welding procedure. 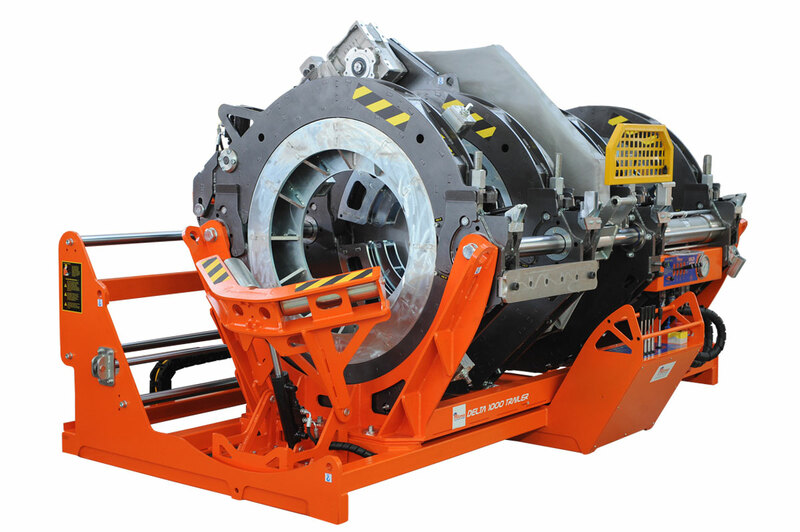 - Control panel for hydraulic movements. 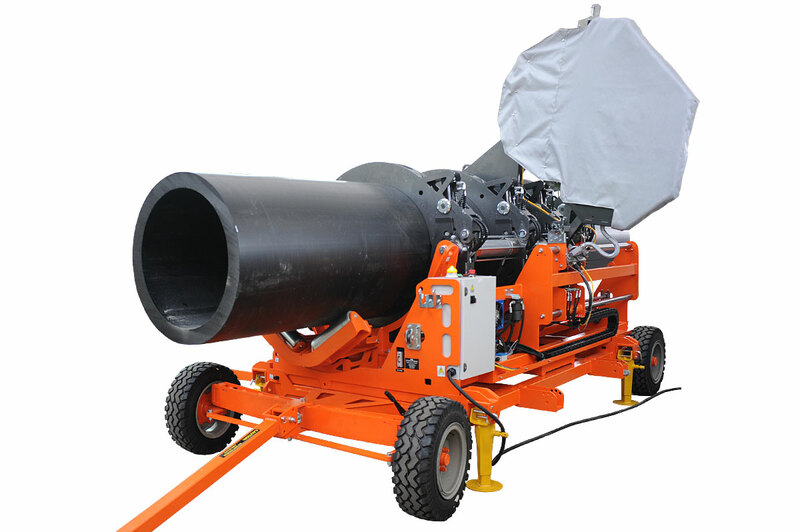 DELTA 1000 TRAILER allows to easily weld fittings like elbows, tees, Y-branches and stub flanges.